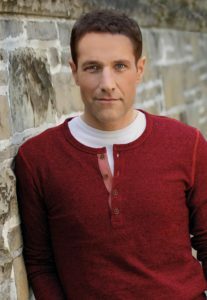 I chatted with the incredibly talented Jim Brickman, about his music catalog and current tour. Start out with the big one, huh? ::laughs:: I was drawn to any sound, melody..I was very intuitive. It’s the way I’ve always communicated. I’ve swayed to rhythm and beats my whole life basically. Q: When did you start playing piano? I started taking traditional piano lessons around age five. I took that path until I was a teenager, when I started to write and compose my own music. Q: What is your favorite song you’ve written or composed? 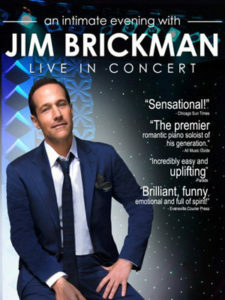 It has to be “Angel Eyes.” It’s the definitive Jim Brickman sounding song. Q: What is your favorite part of being on tour? The energy of that particular moment. In other words, it’s unlike something that’s recorded or on demand. It’s only exists in those few hours in that situation. I’ll never play exactly the same, and people will never feel the same way. It’s a joy. Q: What is the Brickman Bash? Q: Are you excited about your two shows this week at Rams Head On Stage in Annapolis? I am! I played there for the first time a few years back. I was so used to playing in bigger venues, that I wasn’t really sure what to expect being in a more intimate space. It’s a joy to experience that intimacy with your fans. Jim headlines Rams Head On Stage in Annapolis for TWO shows this Sunday!